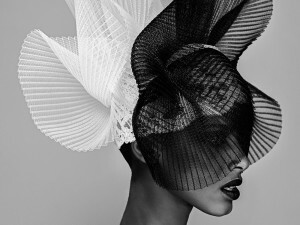 Featuring over 150 hats from 40 contemporary milliners and private collections, HATtitude highlights the hat’s function in global cultures and its position in 20th and 21st century couture fashion. Also featured will be the Milliners Guild showcase, One Block, Many Milliners, with forty unique hats all formed from the same hat block. An exciting calendar of engaging lectures by fashion and art historians as well as hands-on workshops lead by exhibiting milliners rounds out the associated exhibition programming. Even people who say “I just can’t find a hat for me,” will find a bit of HATtitude tailor-made to suit their taste. Thursday, February 27, 7:00-9:00 PM | The Smithsonian ‘Will to Adorn” project and Folklife Research on Style and African American Hat Makers in the Bronx and Brooklyn, Lecture by Jade Banks, Lecture Presentation by Madadaha Kinsey Lamb, Folklorist Founder and Director of Mindbuilders Creative Art Center, Bronx NY, in conversation with milliners Carlos Lewis, Cejunuel Lewis and Marcus Malchijah. 3:00 – 5:00 PM – Performance and Demonstration: Dance Hats of Peru with the Ballet Folklórico Acuarelas del Peru and scissor dancers, Los Chankas del Peru, with live music. Curated by: Kathleen Reckling, MA, and Tom Van Buren, Ph.D. and Judith Schwartz, Ph.D.